The Control4 Home Automation system has the ability to play audio announcements through the audio outputs on its controllers and speaker points. These announcements can play back any file encoded in a wav format. Traditionally these announcements have been used for doorbells and pre-recorded messages. Chowmain’s Advanced Announcements driver expands the announcement agent by providing integration with web based text to speech engines. This gives you futuristic dynamically generated voice notifications over your Control4 system without any additional hardware. Ability to record your voice via a web browser for playback through Control4. Control4 OS 2.7 is now available! 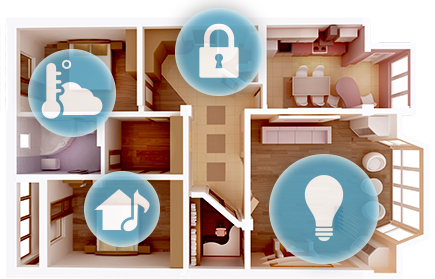 With the rise of the “Internet of Things” dominating recent headlines, many consumers have rushed to invest in smart home systems that offer unprecedented options for connectivity. While the IoT opens up numerous possibilities for energy savings, home security and personal convenience, it also has the potential to impinge on the privacy of homes. Read on for tips to keep your data from falling into the wrong hands. Secure Your Wifi - If you’re like many homeowners, you ignore your WiFi router after checking to ensure the Internet is up and running. This could later prove to be a fatal flaw in your home’s overall privacy. Start by checking to see what type of encryption your router is using. If your router doesn’t support WPA2 networks (a more robust security standard), consider investing in a new wireless router. As with other consumer electronics, WiFi routers have become more powerful and less expensive over time. Additionally, WiFi speeds continue to accelerate, so if you’ve purchased a newer computer recently, a new router may make the difference in your safety. Keep Cameras Away From Prying Eyes - In many instances, products such as webcams and “nanny cams” come automatically configured with inadequate security safeguards. This leaves these devices vulnerable to hacks from almost anyone, even those with a very limited knowledge of technology. For many cameras, the best thing you can do is create a strong password (‘12345’ and ‘password’ are off limits) that is unique and different from the default. Substituting numbers for words or letters is often a good strategy. If you don’t change your password from the default setting, you leave yourself (and your family) right in a stranger’s line of sight, as one babysitter in Houston found out the hard way. Privacy Please - Companies hosting important personal and financial data, such as home security giants ADT and Nest, have a crucial responsibility to keep this information secure. But it’s also your responsibility not to recklessly over-share highly private information or leave your devices open for easy access. Never post your Social Security number, account numbers, address, phone numbers or even your full name in publicly accessible sites. Ensure that your smartphone — often the command center for security system and automated device control — is protected by a lock screen at the very minimum. It’s also wise to disable automatic login information or anything else that can be accessed while you’re away. Don’t share any information that could lead to compromising the security of your family and property. If cyber criminals gain access to your interconnected home systems, they could potentially turn on thermostats or other appliances, increasing your utility bills. Then there’s the more dangerous risk of someone gaining access to your physical property, unlocking doors or breaking in to commit a robbery. And in the case of webcams and baby monitors, there’s the frightening possibility that someone could be gazing into your home without your awareness or consent. President Obama has proposed stronger anti-hacking legislation, which would make hacking-related crimes a felony carrying a minimum three year sentence. However, politicians and tech-experts alike are concerned that the law would do little to protect homeowners in the short term. Ultimately, it is up to you to determine the security of your home and privacy. 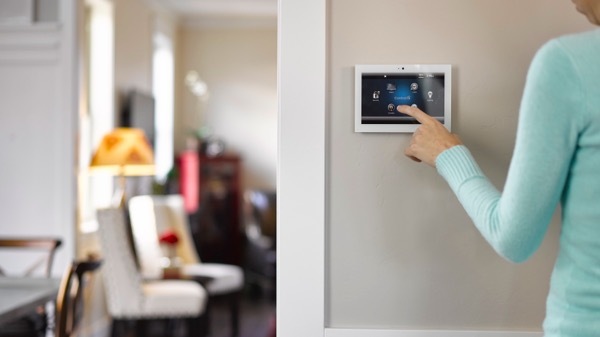 While automated home and security systems offer impressive new options for convenience and connectivity, it’s important to be safe and ask questions if you don’t understand how to install or maintain security features. Consider checking out this government website for further reading on the subject, and don’t forget to logout when you’re done! Now your Control4 system can be used for home and light commercial access control. Using RFID tags, these readers connect via RS232 or Wiegand to the Control4 system. Pairing these readers with our HouseLogix Access Control Database (HACD) driver gives you a robust way to manage up to 300 users.